Home » Blogging » I’m Now on Yummly! 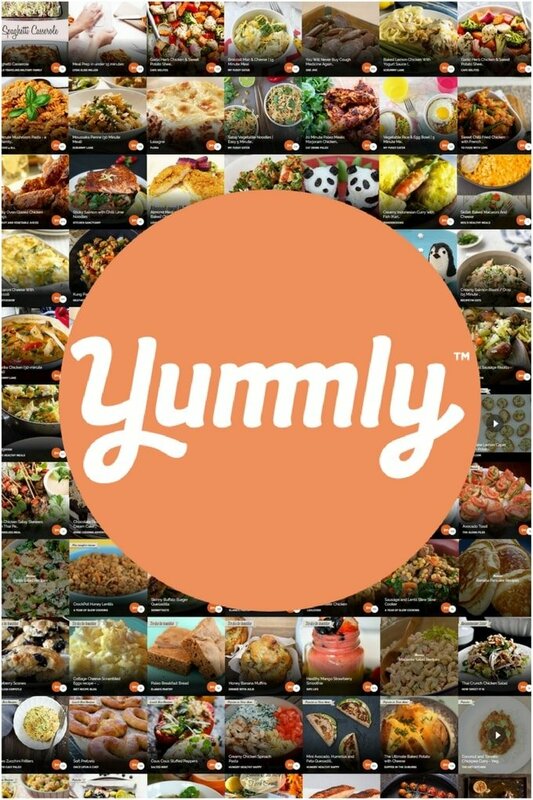 If you’ve not yet come across Yummly, it’s a vast collection of over a million recipes from around the world. The ability to search easily for that perfect recipe is what makes Yummly really stand out. Yummly enables you to search by all kinds of categories such as ingredients, taste (are you looking for spicy, salty, savoury or sweet? ), time to prepare, diets, allergies, cooking techniques and more. You can create your own collections of recipes (like a virtual recipe book), and organise them effortlessly. Each recipe has a direct link back to the website it came from so you are able to access all the details about the recipe. You may have noticed there is a Yum button among the share buttons at the top and bottom of each of my posts. This means you can save (or ‘Yum’) all my recipes to your collection. If you visit my publisher page on Yummly you will see all my recipes in one place. You can save them to your recipe collection by clicking on the round yum button in the bottom corner. The first step is to create an account by going to the Yummly website. Mobile apps are also available. You will answer a few introductory questions to help Yummly learn your taste profile (allergies, diets etc..). This helps Yummly to only recommend relevant recipes. The next step is to get Yumming! Browse around the Yummly site, using the filters, to create your own recipe collections. If you find a recipe on another website which is not featured on Yummly you can add it to the Yummly site by installing the Yummly Bookmarklet. As you add recipes, Yummly will begin to learn your preferences and use this in its recommendations. Once you have created an account, the next step is to get your recipes onto Yummly. The easiest way to do this is to include a Yum button on your website. Yummly have produced their own Yum button, however a number of social media plugins (if you’re a WordPress user) also include a Yum button. I use the Simple Share plugin on my website for its ease of setup and great features. Every time you post a new recipe ‘Yum’ it. Your recipes will then appear, for all to find, on the Yummly website and on your own Yummly page – mine can be found at http://www.yummly.uk/page/onceuponafoodblog. Plus, of course, the Yum button will enable your readers to add the recipe to their own collections! Now you’re ready to go…Just let everyone know how to find your publisher page!! My experience is that using Yummly is really straightforward. There’s no creating bespoke images or descriptions. There’s no copying across recipe information that is already on your blog. Yummly ‘reads’ your site and extracts all the information it needs. So, whether you are a food blog reader or food blogger…Happy Yumming!